Find out more about Device Druid and the Druid Builder in our videos and tutorials. NOTE: Device Druid and Builder have just launched, more content will be available in the coming days. 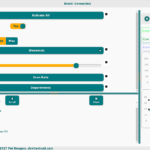 Device Druid is a desktop app that connects to (suitably programmed) embedded devices, like Arduino, to let you interact with and control them. It connects through USB and talks to a SerialUI-based program to figure out which controls and menus are available. If you’ve got a device on-hand that is stated to work with Device Druid, then that’s all you should need. 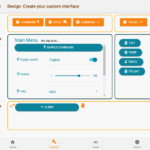 SerialUI is a programming library that a developer can use to create embedded firmware (a compiled program) that Device Druid will be able to talk to. 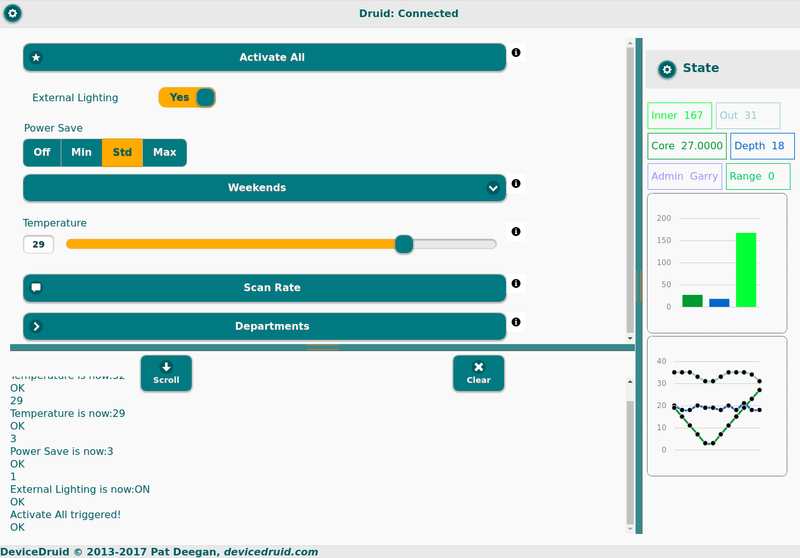 For people creating devices which will support Device Druid, the Druid Builder is another desktop app which makes the whole process extremely easy. There’s a video available that shows the creation of a functional program with a complex GUI in 3 minutes, thanks to how well Builder knows how to deal with all the SerialUI stuff. There’s more than that going on behind the scenes, but these are the three parts most people will interact with. 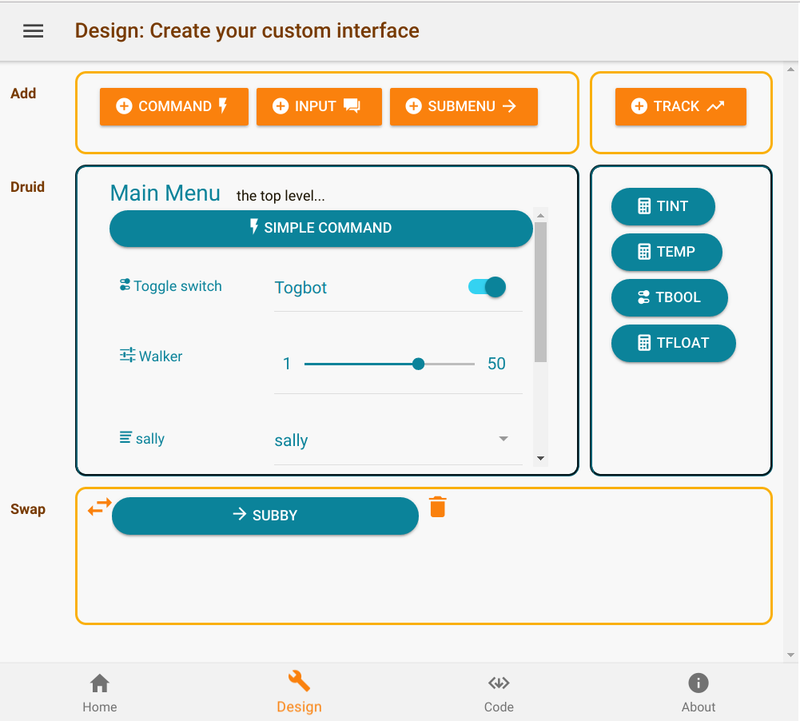 When you’re creating firmware that’ll work with Device Druid, there’s no easier way than using Druid Builder to get you started. Even if it makes things easier, we’re still programming here which means a bit of complexity… So Druid Builder has its own set of tutorial videos, including a full walk-through where lots of interesting details are discussed and demonstrated. Be sure to check them out.